TechNorms loves finding affordable technology solutions for our readers. Whether it’s Bluetooth speakers, chargers, or even the latest tablets that hit the market, we’re always looking for good technology at a great price. We were recently introduced to accessory maker CHOETECH, which features a variety of products we had the chance to take for a test drive. 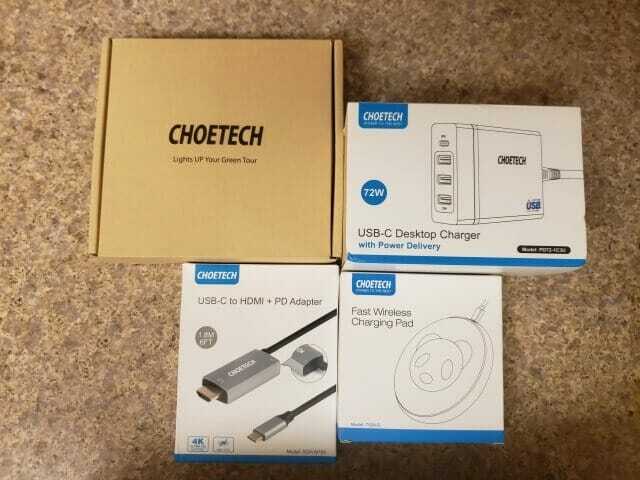 Learn more about CHOETECH and see if some of these products might be right for your everyday life with our review below. Founded in 2013, CHOETECH looks to create a variety of wireless and mobile accessories for consumers on the go. From Qi chargers to headphones, AV products, and more, CHOETECH is looking to offer high-quality accessories for affordable prices no matter your digital needs. They focus on independent research and development, something many other third-party accessory makers fail to do. Now, let’s see what they can do in our product review. The CHOETECH 4 Port USB Charger is a standard multi-port charger. These types of chargers are all the rage, as more consumers are using multiple devices in and around their homes and offices. Most of these chargers offer the same functionality: four more charging ports and quick charging options. With CHOETECH’s USB charger, you’ll find 3 USB A ports and one quick charging port; you can charge up to four devices at once without losing charging capabilities between them. One of my biggest pet peeves of 4 port USB chargers is they actually can’t charge more than two devices at once without sacrificing power between some of the devices. When trying to charge a Galaxy S7, S9, Kindle tablet, and Galaxy tablet, there didn’t appear to be much slow down between the devices while charging them. The only slow down I saw was when I had three of the above devices, and my Galaxy Tab Pro S plugged in, which I would expect from any 4 port USB charger. 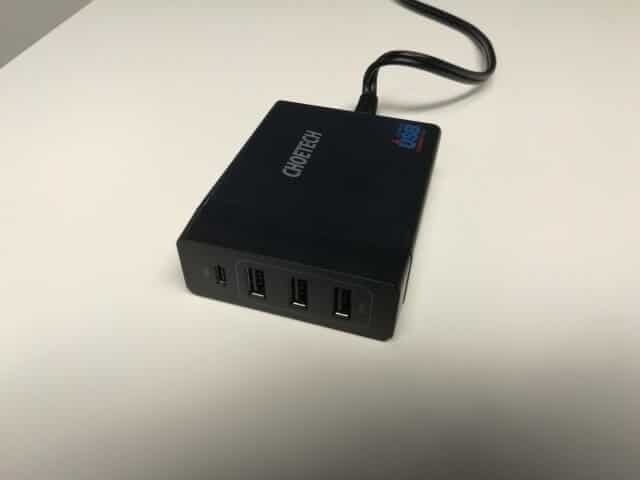 Learn more about CHOETECH’s 4 Port USB Charger here. The CHOETECH Fast Wireless Charger offers 7.5W wireless charging for devices, such as the iPhone X, and other Qi-enabled devices. With fast charging available for some devices, like the Galaxy S9, this charging pad is easy to use as soon as you set down a device. 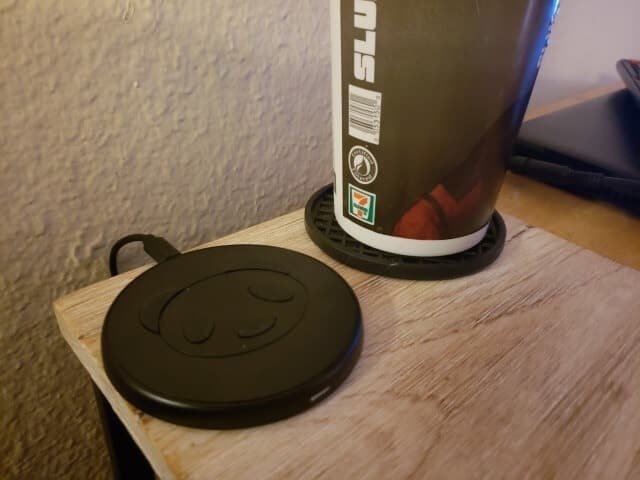 With a cute panda design and small circle, this doesn’t take up as much space on a desk or other space as other wireless charging pads out there. I hate wireless chargers. I’ve had nothing but bad luck with them, especially when it comes to having to have my Galaxy S9 sitting in just the right spot to get it to charge consistently. I didn’t have that issue at all with CHOETECH’s wireless charger, which surprised me. CHOETECH’s charger consistently charged my phone as soon as I put it down, even it was off-center. I highly recommend giving this wireless charger a shot if you are looking for one. Learn more about CHOETECH’s Fast Wireless Charger here. The CHOETECH USB Type C to HDMI Cable is a welcome accessory in the ever-growing world of USB-C devices with expensive accessories that aren’t worth the investment. This USB type C to HDMI cable is easy to use and will let you connect a variety of devices – like the MacBook Pro and Surface – to external devices like a TV or monitor. Being able to hook a USB-C device to a TV or monitor should be easier than these devices let it. Without buying an HDMI cable and a USB hub to do it, this type C to HDMI cable lets you do it easily. I didn’t need to install drivers or do any prep work, I simply plugged this into my Tab Pro S and my TV and was ready to go. The only downside to this cable is its length depending on how far away you are from your monitor or screen. 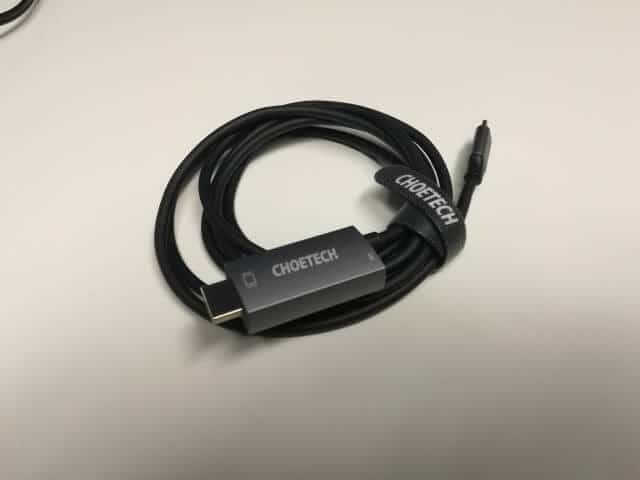 Learn more about CHOETECH’s USB Type C to HDMI Cable’s here. The CHOETECH Foldable Solar Power Charger is one of my favorite finds. Solar chargers, for the most part, don’t live up to the hype but this one does. With a sleek, stylish design, this solar power charger is easy to bring with you on any trip, especially when venturing into the great outdoors. This charger can charge devices up to 5V when under direct sunlight and offers weather resistance. 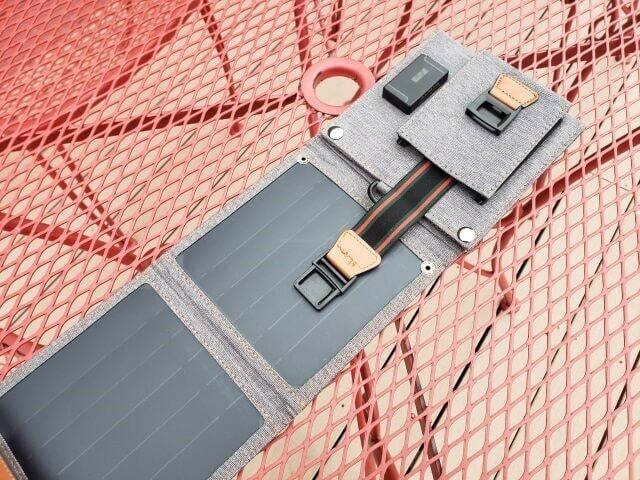 An easy attachment lets you hang the charger on a backpack or canopy for constant charging when the sun is shining. Solar chargers are another product I am highly skeptical of because most of them don’t convert enough energy to charge my devices. What surprised me the most about CHOETECH’s design is how easy it was to keep in the sunlight; it was designed to ensure you’re getting enough sunlight on the go to keep things charging. My devices charged slower than normal, but I expected that from a solar charger. I was more impressed by the consistency in charging than anything else. Learn more about CHOETECH’s Foldable Solar Power Charger here. When looking for accessories for your daily life, finding companies and products you can rely on to do the job you need them to do. With CHOETECH, you find both. Whether you’re looking for mobile solutions or something to keep you charged on the go and working efficiently at the office, CHOETECH should be a brand to keep an eye on as you’re shopping around. Learn more about CHOETECH here. Disclaimer: The above company sent us the product reviewed in this blog. However, that has not swayed my opinion of their product one way or another.